If you have been following me on Twitter, Instagram, Facebook, or now even on YouTube ! 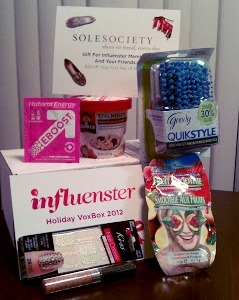 Then you probably already have seen some pictures of my Holiday VoxBox from Influenster ! I have tried out some of the products and am going to share my review of them in a separate post HERE.